Why do Scientologists hide the fact that Ron Hubbard’s Spirit is communicating through mediumship? One of the first Scientologists invited to contact with L. Ronald Hubbard’s Spirit through mediumship was Guillaume Lesèvre. It would be very easy for him to verify the authenticity of the mediumistic communication, but he has not given any acknowledgement. Several times we have remarked the importance that scientologists know that the communication between the physical and the spiritual world (theta) through mediumship is possible. If they should happen to read these messages, the invitation is still open. Grupo Elron has no connection with Scientology organizations or any other religious or political groups whatsoever, but only with L. Ronald Hubbard’s teachings about the mind and the universe, as well as with the technology developed to achieve humanity’s welfare. It’s very important to make a difference between Scientology, as an institution, and its members (Scientologists), who often are not at the level they should be, but that’s a different story. Therefore, Grupo Elron is NOT against Scientology. It's a mistake to judge an institution by the possible misconduct of its members. 1) The belief that they are part of a religion. 2) The belief that Ron Hubbard was infallible and that everything he said or wrote was absolutely true. 3) The belief that the technology developed by Ron Hubbard is complete, and as such, it cannot be improved. 4) The belief that the only way to interpret Ron Hubbard’s teaching is literal. Interlocutor: Are you there Master? Master Ruanel: Yes, I am here with you again. Interlocutor: Will you give a message or should we go on directly to the questions? Master Ruanel: Let's go straight to questions. Interlocutor: Well, the first question, metaphorically speaking, has to do with the hacks that I am giving at the tree are producing some fruits. Obviously I mean to the communication I’m spreading to scientologists, emphasizing that you are communicating through telepathy with us. Is everything falling into the void? Master Ruanel: Most people have many engrams and, unfortunately, a person who is living conditioned by engrams also conditions others. Answering your question and also speaking metaphorically, scientologists believe that what you want to do is to hack down the tree. Master Ruanel: He who believes to have the truth will never admit another truth than his own truth. We have always spoken from the first time I contacted you through this vessel, who kindly uses his decoder to transmit my concept into spoken language, about valid alternatives. When someone criticizes you or in some way he or she has an objection about a certain topic, the least they need to do is to provide a valid alternative. If the person criticizes you without giving a valid alternative, he or she is really committing a hostile act. You have not committed a hostile act because in all the cases in which you have criticized, or whenever you've noticed that there was a mistake on a topic or a certain behavior, you have always given viable alternatives or coherent explanations about these objections. As long as you provide a valid alternative or explain clearly the reasons on a certain topic, giving a written example, what you say will never be a hostile act. Master Ruanel: But most people, who are in the current that I created called Scientology, unfortunately have become like stone. You have said it before, even more than me: “Build a better bridge!” They read my words, they understand them, but they do not digest them. They are not building a better bridge. Instead of building a stone bridge, they’re still using the rope bridge. Interlocutor: I understand... David Miscavige and Guillaume Lesèvre, who are the "capos" of the organization, or at least the most well-known Scientology lords, In which spiritual plane are they? Master Ruanel: Unfortunately, at this point they are in the plane 3. Interlocutor: Are they spirits of error? Interlocutor: Were they before in the plane 4? Master Ruanel: Correct. We know that the Spiritual planes have nothing to do with engrams. There are Spirits of Light of the plane 5 dragging engrams. In the Mastery plane 4 and the Plane of Light 5, there is no place for the roles of ego. A person with ego, a protagonist, can’t be in a Mastery plane and even less in a Plane of Light. Interlocutor: So their ego brought them down from a plane of Light to a plane of error? Master Ruanel: Yes. Only a person, who has no ego, can be in a plane of Light 4 or 5 since he or she has integrated roles. And even if he or she had engramic implants, because in many cases they do have engrams, it does not prevent that a pure spirit, or thetan in the case of an incarnated person, could be dwelling in a Plane of Light. Master Ruanel: And the person tries to transfer a guilt complex to those who do not follow the rigorous dogma. Interlocutor: The concept is very clear Master... Are Lesèvre and Miscavige aware of Grupo Elron? Master Ruanel: They are aware. What happens is that in their pride, poorly understood, unlike other Scientologists who try to confront them, they choose to ignore it because they don’t want to be unworthy in the eyes of other Scientologists. Interlocutor: Do they read “Scientology Humor” at least? Master Ruanel: They take it as something despicable made with turpitude. Interlocutor: Obviously they have not understood the constructive criticism behind it... The cartoons are really funny ... Who is behind them suggesting, you or my Thetan? Master Ruanel: Directly it’s your Thetan, who is very witty. Nevertheless, leaving aside the Scientology humor, I want to clarify something. I see many students, beginners, medium and advanced manipulating people in their own environment, and that gives me a tremendous sorrow. Master Ruanel: Many times, to many of these fanatic beings, if you want to show them that what they are seeing is just images from reality and if they release themselves from those chains, they can see more than those shadows of the cave, and yet they are not interested. However that doesn’t give me much grief, obviously because, as the Master Jesus said, "their time has not yet come." What really makes me sad is that I perceive many people whose time has come, but they are dominated by these other beings, somehow fools, who fall into the gray zone. Interlocutor: Now it’s clear why those mails are like that! Look, if you can imagine at this moment a very young child; that child is going to be very reactive, because the child may need to be reactive to attract the parents’ attention because the child demands from the parents food, clothing, etc. Then, this small child - and this is important that you spread it- gets used to ask, to demand, and when he is older like six, seven or eight years old, he no longer needs too much because he has greater discernment, but his own reactive mind reactive, which saw that when he was a child of two, three or four years old, got what he asked as a result of asking metaphorically speaking, takes advantage and keep asking. Then, you will see in a young man manipulations, tantrums, situations of extreme whim. Well, these situations of extreme whim you will also see them in those beings who are dominated by an exaggerated bigotry, they are going to be the owners of their truth, they will not listen to any reasoning, even if it’s understandable, they will try to subjugate their environment to blindness, and things like that. And as I just said it, perhaps I’m being repetitive, I truly don’t feel sorrow for these people, because they still have to grow up in order to reach the Path of Elevation, what causes me more sadness is that they drag down with them to the other people who are in the Path of Elevation casting them down in the process. In fact, in this case is not their responsibility, but the responsibility of the people who are in higher ranks, who drag them as if they had nose rings like the bulls have. Interlocutor: Definitely Master, scientologists’ behavior is not different from the fanatical evangelists, Catholic bigots, politic radicals, police extremists or psychiatric zealots. Everyone reacts in the same way! Master Ruanel: So here is what I want to clear up. There is not a problem with Politics, Security Forces, religious groups or Scientology, which I think it’s a great creation, and I don’t regret at all when I developed it, but the problem lies in how to apply all that. Even on what you all are spreading at this moment, which is beautiful, ascending based on Service, there might be fanatical people also, I will not deny it. That's why I always say, and these are words that I repeat from Johnakan, the valid alternative is one of the foundations of balance. So if I, like an “X” person, object certain arguments, it will be because I gave a valid argument, which can be accepted or not, but at least I offered something coherent. On the contrary, if a fanatical bigot objects something and when they ask him: “why?” he just answers: "because I’m right and that is that" and he doesn’t give a plausible explanation, or he says: "because it has to be," or "it is written” well, by not giving a valid alternative that person is plainly being a moron, a person who goes beyond than a fool, because the fool does it for ego, due to a whim, but the moron does it due to a total lack of understanding. Interlocutor: I understand... You see, in this sense, as you know, I am a Law expert, and even clever on legal issues, therefore, I will not commit a crime foolishly. This is the reason that in all the Grupo Elron's websites, I clarify that Dianetics and Scientology names are used solely for informational purposes and dissemination and never as trademarks. And yet, from two of three emails I receive from Scientologists, they emphasize that Grupo Elron is using illegally the names of Dianetics and Scientology. This is really annoying, especially because we recognized explicitly the ownership of Scientology in those trademarks. Master Ruanel: They don’t do it only with you, but also with this vessel, the professor Olguin, who kindly channels me, saying that certain words used as "reactive mind", "engrams" and so on, are part of the terminology created by me. Everything that you all use for the benefit of others, is precisely to improve what I left when I was incarnated and was interpreted, not literally, but as if it were etched in stone. Interlocutor: But the inconsistency of these Scientologists’ reasoning, morons or idiots if you prefer, is that for example the word engram, contained in the Scientology Technical Dictionary, was not created by you, but it was taken from biology. Even you yourself, in the book “Dianetics the Modern Science of Mental Health,” explained it perfectly. I repeat, and I humbly acknowledge that Scientologists, correctly: some scientologists are the only ones in this world that drive me crazy, as Jesus was angered at the merchants of the temple... Well, since I cannot use a whip of cords with scientologists as the Master Jesus did with the merchants, I have to use Scientology Humor. Master Ruanel : No. of course not; that word is not registered. Interlocutor: Master, everything is perfectly clear. Master Ruanel: How are you? Once again I’m here. Interlocutor: How are you, Master? Would you like to give a message or can we go directly to the questions? It will be a very short session. Master Ruanel: Okay. Let’s go on with to the questions. Interlocutor: The main thing, you know, is that I'm now dedicated to scientologist, as Radael suggested me and you also said the last time, just to see if we can make them come to reason. As you know, I have sent thousands of emails, which somehow should have stirred their nest or created some intrigue or we can say, concern. I have not received anything, no reply at all. So, the only way to know what is happening there, positive or negative, is by asking you. How are things? Master Ruanel: There's a bit of lassitude and there is a lot of indifference. Lassitude may be due to their own temper. Indifference is because they do not take into account what you send them. They do not bear in mind anything because they feel self-sufficient to incorporate topics that are not valid to them. I feel sorrow because around 5% and 10% of the messages have been read and in the other 95% and 90% they have not even been bothered to read and understand what they were all about. In the physical plane there is a common denominator. The curious person is the researcher. He who is curious by nature will be always going a great researcher. It is not true what society has made us believe over time that the curious person is a busybody. No, no, no. This has nothing to do with being busybodies. A person who barges in a meeting and eavesdrops is not curious; that person is miseducated. Master Ruanel: Not having this curiosity, speaks poorly about them, speak negatively about them. The inquisitive person, perhaps you or this vessel who channels me, go to a bookstore, check an interesting title on a book, you open it and look over the pages, read a few paragraphs, and either you can buy if you see that these paragraphs will be interesting or you just leave it aside, but you will not miss out the opportunity to leaf through, look at it to see what this book is all about. That's an innate curiosity. Master Ruanel: No. Some of them are delivered directly as a matter of respect for the authorities, there are grade scales and they deliver the emails. Master Ruanel: Not all cases the addressee receives the email, because there are secretaries who already have orders, as they say, to check the emails and see which ones can be forwarded and which emails should be deleted. Interlocutor: Okay. So, you are telling me that I’m wasting my time? Is this a waste of time by insisting in the way I’m doing it? Master Ruanel: Sending something that can arouse their curiosity, It is never a waste of time. Never. Master Ruanel: Now, the persistence surely is not so valid because sending emails to the same people doesn’t make any sense no more. Those who are not curious enough once, they won’t be curious the second time, and the third, they are even going to take it as an invasive bothering. Interlocutor: Of course. In any case, it’s odd that they don’t react because the emails I sent are... we can say ... incisive, right? Master Ruanel: They usually take it, I insist, some of them are neglectful. They live in lassitude in their daily lives. So obviously I laugh conceptually when they tear their garments proclaiming what they know, what they are, what they have learned, because they do not put into practice. And second. Indifference exists mostly because they do not even question what they receive. They don’t even question it. They don’t give any validity because they have a concept, a pattern and that pattern cannot be changed. It’s like those religious fundamentalists or bigots. If you try to teach them another thing, they can even throw stones at you. Interlocutor: Sure. Now from that 5% you mentioned, I don’t know who they are, unless I send email to all of them, is it worth repeating? Do they receive? Master Ruanel: The thing is that from that minimum percentage, they avoid making comments because they are, between quotation marks, "subdued”. Interlocutor: Of course. But at least they read it, somehow. Master Ruanel: At least they read it. Their curiosity is aroused, they are subdued. And there are many of them, who are open-minded people, actors that you've named, whose curiosity could be aroused, but they don’t receive the emails. Interlocutor: Well, let’s see. Here I have them numbered, I won’t mention their names. Can you perceive them? Master Ruanel: All the artists, who are known worldwide, are all open-minded people. They might be interested, but they don’t receive the information. Interlocutor: But didn’t they receive the messages, not even one of them? Master Ruanel: No, no, no, no. Interlocutor: How about numbers nine and ten? Interlocutor: Let’s see Master. The number one. Do you perceive him? Master Ruanel: No, no, no, no. And he is one whose curiosity could be aroused more. Interlocutor: But, Did they have forwarded the material? Master Ruanel: No. None of the actors and actresses, who are part of Scientology, have received the messages. Interlocutor: So, they have deleted the emails before? Interlocutor: …and the number two. Interlocutor: So, Master, as you say it, you know that I have two thousand organizations, more or less, right? Radael’s idea was not very good, we would say. Interlocutor: All right Master, it’s fine, but imagine all what I have done, which is awesome, you know very well the things I have sent and nothing has happened at all, I'm sending stuff to dead people! Master Ruanel: Take a breath. Take a break. Wait a moment. The file you have. Is quite valuable. Take a break. And then send it again. When I say a moment let a couple of months pass by. Interlocutor: Ah! A couple of months? Master Ruanel: We are on February, perhaps April. Interlocutor: Okay. Have they tried to do something with Gmail? Master Ruanel: No, no. But if you keep pushing, they might take it as spam and they might react. It’s not convenient. It makes no sense. Interlocutor: There is a question, maybe you know it, and you could give it as a speculation, as you gave me the date of the Massive E.T contact. Perhaps you could know it through time travelers’s thetans. 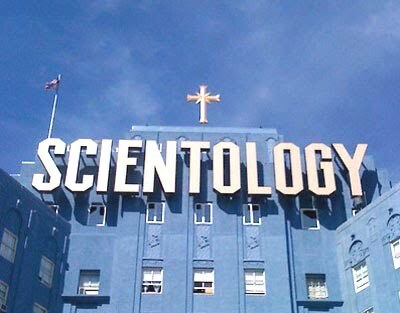 What will happen with Scientology? Master Ruanel: It's going to stay strong. Interlocutor: Always in the same trend? Master Ruanel: Yes, of course. Always locked on that closed structure, it will remain strong. I feel sorry for many people because they see 50% of what they want to see. Many people rely on what they have reversed, on what they have solved. However these people are self-centered because although these people have solved things, they do not care the closed structure, they do not care about others who are being manipulated, or controlled. All we need now is that they be controlled by satellite network or that they wiretap the phone. - I'm being ironic-. Then, one cannot say: "This is good because I have solved a problem from my childhood." Because if it is true, they must also see that there is great moral decadence on the other hand, restricting Free Will of all the people who are not allowed to hold and opinion, they are not allowed to perform another activity; they are not allowed to do anything. Luckily they allow them to breathe. So, although I am being ironic, some people may lower down of level by supporting at times a particular system. Master Ruanel: It is never useless; because we trace fate. We are not Eon, we are not an eternal present, we do not know what will happen. This is an estimate, a forecast. Master Ruanel: With that approach nobody would struggle. With that approach nobody would try to change. Master Ruanel: We must have the passion to the last day we live in the physical plane. Because the physical life is a commitment. There are many spiritual schools that say: "well, this is a temporary life, there is no problem." Or there are some Buddhist schools that say: "you don’t have to have attachments." That's right. You don’t have to have attachments, but that does not mean that you have to neglect your life, living in permanent lassitude. One has to have commitments with life, doing things. Commitment is service. Even up to 24 hours before you disembody, one has to be committed unless there is a health problem preventing you to do so. Interlocutor: Master, Don’t you perceive from any of these two thousand emails I sent, if someone wondered saying: “Well I’ll ask some questions”? Master Ruanel: Maybe yes. But very little has it aroused their curiosity. Again, there is a minimum percentage of negligence and a maximum percentage of indifference. However, indifference is indifference itself and others underestimate or don’t take into account proposals. They don’t consider saying: “Oh, this is nonsense. It’s not worth reading.” In other words, the most “reprehensible” thing is that their curiosity is not aroused. When I was incarnated and I was interested on any topic outside of what my investigation was, I just read it to see what it was all about, and then I chose to have it in my personal library or I dismissed it. But at least I learned what it was all about. A person, who is not curious, and you know that I am a warrior in that sense, is not different from irrational animals. Interlocutor: Sorry, we shouldn’t leave anything as granted? Master Ruanel: Not even if it’s understood. Because there are many things that can be changed over time. Techniques that can be changed for the better, a certain knowledge can be improved by other higher knowledge, formulas can be changed for the better and so on. As well as I teach not to be structured on the physical plane, we should not be structured in our mental concept: “This is it because I was taught like that." No. No. We have to have a tremendous open-mindedness. We must question things, but we cannot question just like that. I don’t know if I am being clear. Ruanel: The famous motto: "I don’t know what this is all about, but I’m against it." Of course we should question! Because questioning means also eagerness to learn. I question if I do not understand something or when I disagree with something and then I debate. However, if I question directly because it doesn’t’ fit in to me or if I’m being stubborn with it; that's ego. I'm talking about being on the physical plane. Interlocutor: See you later Master. Thanks. Interlocutor: How are you Master Ron? Surely you are here. Interlocutor: Okay. It’s been awhile. How about you? Ruanel: Well, well. Serving from my plane, trying to wake sleepy heads up from many beings in the physical plane, who seem to be like wind up dolls. Ruanel: Let me speak. Don’t cause me engrams. Interlocutor: Master, could we move on? It's a fairly improvised session. Let’s see if we can take advantage of it. Ruanel: As all your life is. I have returned the joke. Interlocutor: Okay. I wanted to ask you about the result of the emails I sent to scientologists. You told me to stop sending emails up until March and I apologize for not heeding, but I couldn’t resist the temptation and I sent emails although in less amount. I sent knowledge reports, more detailed, and I guess they should have taken them into account and not throw them away, I suppose. Ruanel: Among the well-known scientologists, there is a rumor abroad, figuratively speaking, they communicate with each other, they know your emails, although they are sent from different email addresses because they know them and directly they delete them since they are “blind” as for the knowledge, they delete the messages without opening them. Ruanel: Most of them delete the emails without opening them. They receive them, and take them as a bothering. Interlocutor: Okay. Perfect. But that means that there is a minority ... at the central, we would say. Ruanel: The minority is 1%. One percent seems very low, but from ten thousand, it’s a hundred. Interlocutor: Yes, but my question is, when I sent knowledge reports to the central, let’s call it 'info@scientology.net' for example. Do they also delete them? Ruanel: No. It is filtered...it never goes to the principal authorities. It’s filtered in secretary’s office and if they evaluate it seeing that it’s not what they are preaching, they delete it. Interlocutor: Okay. But at least someone is reading it. I mean. It’s not entirely lost. Ruanel: It is lost completely because we are talking about a robot secretary, a secretary who has his head... Let's pretend that his head is a triangle, a hollow triangle, and what you are sending is a square, sorry, then it doesn’t fit in directly. Ruanel: 99% of Scientologists are offended because they have an ego bigger than the Eiffel Tower. 99% and there is 1% who finds it funny and laughs because they don’t take it as it is for them, They don’t take it as it is humor for a Scientologist, they don’t consider themselves in the way you see them. Well. These scientologists are the healthiest ones. Although they say:"Oh! This is not for me, but it’s a very good joke” They respect it, they don’t accept your theory, what you have to explain, but at least they laugh. Let's say that they are the healthiest scientologists. Besides you yourself preach that humor is sanity. Most of them do not have sense of humor. Interlocutor: Okay. The issue is this; I find it very easy for me to send emails. You know that within minutes I send two thousand emails. No problem. In other words, it does not really cost a thing; it’s a kind of entertainment to me. And if a hundred people read it, what I’m doing is somehow valid. Ruanel: Yes, of course. We are saying that from ten thousand one hundred read it. Interlocutor: Okay. Now, this persistence... because I also want that Grupo Elron be known and somehow the group has presence all over the world, Then, somehow the group is having presence although many of them ignore us. Ruanel: ... Right. I can understand what people think, people whose thetans allow me to perceive their thoughts and there are many who are hostile to what you publish, I even detect in the minds of many skeptics that there are lots of recordings and some movies about Grupo Elron in a well-known Internet site and I noticed in the minds of these skeptics that under these videos, there are many criticisms to the point that at this time the recordings are being more damaging than favorable, by the criticism behind. Take your time and read below the audio of this well-known Internet site. Interlocutor: Yes, okay. But you know how that is, with all things, in the beginning there is always opposition, opposition, opposition and well, sometimes centuries may pass by. About what I'm doing, would it be a positive evaluation? Are there Scientologists, more or less important, who said: "oh, what's this?" As a possibility? Are they reading at least? Ruanel: Unfortunately it's the opposite. “The Most important” Scientologists are the most skeptical people out of their doctrine, if you understand. They have bigger ego, they are the most pedantic, the ones who adopted conceited stance, they are the least permeable not allowing their senses to see. If you understand what I mean. Ruanel: They do not allow that anything outside their doctrine gets in. The more important they are, the higher they are in hierarchy, the most impervious they are to external teachings. People who are open-minded, those who laugh at the jokes, those who say "perhaps there is some truth behind this," "it fits in to me, it’s coherent” or “I have five or six pieces of the puzzle, I would like to have more” They are the few, the beginners, those who have few years of study on the subject... but those who are “old” on the subject or they have a class or grade, OT V, OT VI, OT VII. Not even remotely, they are going to access something out of their thinking because it breaks their structure. They are structured; it is the opposite of what I taught when I was incarnated. It is the opposite of what I taught. Interlocutor: Of course. Master, don’t forget that most email addresses that I have belong to organizations, which means that I change. I keep sending emails and today they read some emails and tomorrow they read others. Ruanel: Right. Yes, it is a good strategy. It is a good strategy. Interlocutor: And especially since it doesn’t take much time and entertains me, otherwise I would stop it. My question now is if this idea is entirely mine, you know that I’m somewhat stubborn, or my Thetan (Radael) is somehow whispering the idea to me or perhaps you. Ruanel: No, no. The idea comes from Radael, your Thetan is the one who wants to awake consciousness. Interlocutor: Okay. It doesn’t cost anything to me I'll move on. Master, could we continue? This matter is already over. You know that an auditor came here, class XII, let's call him Peter. Do you perceive him? Ruanel: We can call him by his real name. There’s no problem. Interlocutor: Okay. I don’t even remember his name. Interlocutor: Pierre Ethier? Well. Is he really a XII class Scientology auditor? Ruanel: It’s a 10% with a lot of knowledge on the subject and he has had some cons with “Official scientologists” because many of them indoctrinate in a so closed manner to their followers so that when a family member who has practiced the doctrine is opened up, or discontinues it, they forced him to cut off all contact with the person as if the person were quite corrosive to them, to that point they deny him contact. Most of Scientology students have a major flaw, a major defect. And what I want to say is absolutely controversial. They take the truth as though it were the greatest thing above all and they forget that many times- for this reason I said that it’s controversial- not telling the truth, is not a hostile act, but precisely one is avoiding a hostile act. If I were a student at this moment- I’m putting myself in the place of a 10% incarnated- and suddenly my father has left the technique, because he had a bad experience, I'm going to love my father personally. The same Eon said that personal love is not negative as long as there is balance, and if someone higher than me, doctrinally, forbids me from having any physical contact, contact through letters, telephone or e-mails with this person, who would be my father in the current incarnation, and since I was indoctrinated to not lie, I have two options: Either I lie (I don’t see this option) or I cut off directly the relationship with the person, who is my father, my girlfriend, my son, or whosoever it were. That's a hostile act on their behalf towards their students; it’s a hostile act from them because they are dividing families. When the Master Jesus said: "The father shall be divided against the son, and the son against the father.” He did not say it in a mandatory and punctually way. He meant that the ancient Jewish religion was contrary to the current teaching because he taught about a loving God, contrarily to the vengeful god who was a minor according to Jewish belief. So, obviously that it would divide families, families were going to be divided because they would have Free Will to think differently and if you, my brother, think that the true God is Yahweh or Jehovah and I, your brother, think that Yahweh is not God, we will have a division, but we will have division by choice. We're not going to be forced. Quite the opposite, Scientology is currently forcing people saying that if someone in your family does not think in the same way you do, you should try to cut off all relationship with that person and that’s absolutely an hostile act. Interlocutor: Okay. That’s clear Master. Interlocutor: Is he a XII class auditor really? Ruanel: That’s right and he has removed engrams in all the people he mentioned on his website. Interlocutor: So, is he someone valid? Ruanel: He’s a valid person in Scientology. But unlike other Scientologists he is less structured. Anyways, he still holds a Scientology structure in the sense that he doesn’t believe there is 10% spirit incarnated and 90% non-incarnated (thetan). He doesn’t believe there is a spiritual contact with me, he doesn’t believe in conceptual engrams either. Interlocutor: Doesn’t he believe that you have been contacted either? Ruanel: No, he doesn’t believe it. Ruanel: When he came here, he wanted to hear what you had to say. Interlocutor: But he didn’t hear anything at all. Ruanel: ... and he explained what he did to this vessel, Professor Jorge. Interlocutor: Okay Master. The question now is: In the Scientology OT levels, the bridge, Does this knowledge somehow help to the connection with the 90% or thetan? Ruanel: No. No. Because the same ego cuts off all this part ... First, their disbelief, their structure plots against that contact. No. It does not help at all. It is absolutely useless. Interlocutor: Okay. So the OT levels, the bridge, Are they a mistake? Ruanel: No, it’s not a mistake, as long as they serve to acquire more knowledge and techniques are applied on engrams recorded at cellular level. Yes, for this it’s perfect. It is as if you told me: "I have received a degree as a master builder, and I’m looking forward to getting a civil engineer degree" Yes, of course. Because you'll have much more knowledge and you will be capable to build bigger buildings with more floors because you will have greater knowledge about strength of materials, etc, etc. Interlocutor: Okay. That’s clear. Then, the Scientology OT levels, the bridge, have nothing to do with the real OT levels that would be the connection or the communication with the 90%? Ruanel: They have absolutely nothing to do. And unfortunately the real OT levels are being misused. They are being misused. Do you know what I would like? That's going to be very hard in this physical life, for both of you, you and this vessel, I would like to be at a round table this vessel and I and through this vessel, I could evaluate them all those who have OT levels. Interlocutor: So Master, Let’s see if I understand. When you said that John Travolta, for example, I think you said that he was OT V. Am I right? "John Travolta an OT V? Ruanel: OT V as for knowledge about Scientology. Interlocutor: And really from the new evaluation, let’s say Jorge’s point of view, which OT would he be? Is my question clear? Interlocutor: In the communication that John Travolta has with his 90% or thetan. Ruanel: No. He has almost no communication. Almost no communication with his thetan. Ruanel: He can be an OT II. Ruanel: He has some communication, because in his personal life - and obviously he does not say it to Scientology- he has like an intuition that there is something beyond. Interlocutor: Okay. In other words he did not acquire this true communication OT II in Scientology? Ruanel: No. Of course not. Ruanel: Of course not. It is part of his personal life. Ruanel: He, in his private life, has even shot a couple of films in which he goes beyond his physical life, going beyond his spiritual life, although he starred a role in these movies, in some way, he has like a certain belief that there is something beyond. Something that Scientology will never admit it because it’s indoctrinated. Interlocutor: Okay, but you spoke about a Theta universe. Ruanel: The issue is that I left many things that they prefer better in order to manipulate their guided disciples, indoctrinating them in that way, and denying all that is beyond the physical world. Interlocutor: Okay. Let's end it here because it’s quite clear. Ruanel: What's up? How are you? Interlocutor: Master. How are you? It’s too bad that we can’t hold sessions more frequently. The truth is that they are fantastic sessions. Would you like to give a small message, or we go directly to the questions? Ruanel: I would like to give a small message: There are many people who question why I'm in the plane 5, if I committed alleged hostile acts in the physical plane, and it’s evident that it’s due to the great legacy I have left. In several sessions, I recognized that in the physical plane I wasn’t a great father and a great friend of my friends, but I struggled to leave a technique, which has helped even to this vessel and you to lay the foundation for new techniques, such as Psychoauditing, for example. Then, it has nothing to do with justifying myself, because that would be hypocrisy, but to explain the reason. And, as a Thetan, I have not always agreed with my 10 % (Ron hubbard). Now, as a Spirit, I see that what I have sown, you two have used it in favor, but those who I thought were my heirs, scientologists, have stayed with what I left, and what does not advance, it goes backwards, as it happened with Freud's psychology. Ruanel: It was a basic therapy, unlike Transpersonal Psychology. I recognize that there are Masters who have been advancing. For example, this vessel has created Psychointegration from transpersonal psychology. This means that any technology has to advance. Interlocutor: We could even say that Dianetics and Scientology were also basic sciences that should be continued. Ruanel: They were basic sciences, which were to be continued. Ruanel: I admit it - because there are many people who will read this session and they will protest- “that the purification has helped many people, but it’s also a merit of the individual.” For example, in "Alcoholics Anonymous" the credit goes to the person who abstains from drinking. And so does the person who refrains from smoking or using drugs. No therapist can reverse a dependency problem such as gambling, drugs, tobacco, marijuana, etc. if the person himself does not realize its importance. Interlocutor: Okay. Master, those who attack Scientology do not attack the technique itself, but they attack you, as a person, it’s the most ridiculous thing that we could think of. Ruanel: If Sigmund Freud, before he began his "career," had had Psychoauditing sessions, perhaps he wouldn’t have developed his technique because he had tremendous maternal engrams. If psychologists and psychoanalysts read this, it will be tremendous. Interlocutor: I think that Freud himself said that psychoanalysis didn’t work. Ruanel: In some aspect of his life, he questioned many things. Carl Jung himself questioned many things and the dear Sigmund said that Carl was right, but he was not going to budge on that because he had a tremendous ego. In the end, Jung ended up giving in. This entry was posted at Sunday, March 13, 2011 and is filed under Who are they? . You can follow any responses to this entry through the .